American cider has a similarity to beer: Like the beer industry of the 1990s, the cider industry is starting to evolve. Just as big name brands like Budweiser didn’t tell beer’s whole story, those fizzy and sweet ciders sold at grocery stores across the country are only one example of what cider can be. Indeed, many of the world’s most highly-regarded ciders are not sweet, but actually are dry. What? Aren’t all liquids wet by definition? What does it mean to call a cider “dry”? Simply put, dry ciders are dry because they contain a lot less sugar. High amounts of sugar give beverages a thick, viscous or heavy feeling often described as wet. Saccharine just has a habit of making things feel thick in our mouths. On the other hand, less sugar means less thickness, less sweetness and more of that crisp, dry feeling. 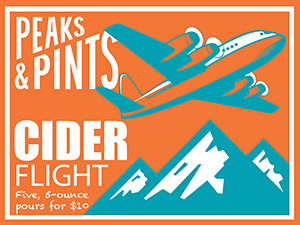 Today, Peaks and Pints offers a flight of dry cider that we call Peaks and Pints Monday Cider Flight 1.14.19: Dry. By the way, please do keep in mind that even the world’s driest cider will completely and utterly soak your pants when spilled. Inspired by sparkling brut Champagnes of the past, 2 Towns Ciderhouse’s Riverwood Brut cider is a contemporary take on a classic. Slow fermentation at cold temperatures allows the intense passionfruit aromas of freshly picked and pressed Jonagold apples to flourish with a Champagne yeast. 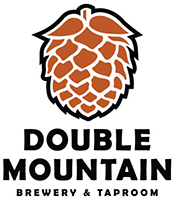 Flavor is complex, with notes of champagne yeast, medium sweetness and crisp green apples. It’s a dry, crisp, champagne-y and highly drinkable cider. Julie and Bret Pittsinger opened Karma Vineyards in the fall of 2007, creating the first traditional style champagne in Chelan County, Washington. As the brand grew the Pittsingers saw an opportunity to partner with his long-term relationships of apple growers in the area that he’s cultivated over several decades. 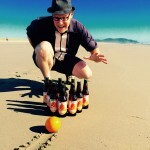 The chemistry between the quality of apple and the knowledge of the traditional French champagne method, created a unique hard cider and Bad Granny Hard Cider was born. In The Flesh is made with apples that are not only red outside, but inside as well. 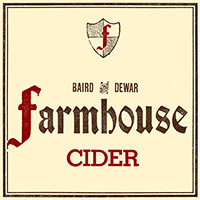 The red flesh apple brings a depth of flavor to this dry and crisp cider, coupled with a hint of oak.